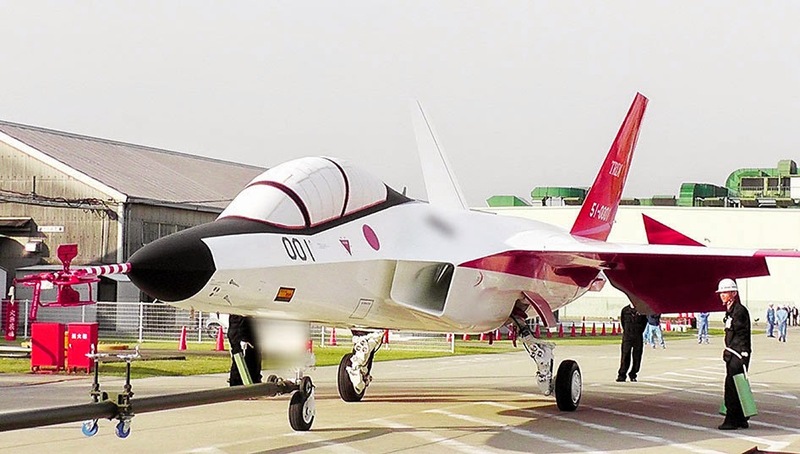 The highly anticipated F-3, Japan’s first domestically-made stealth jet, is aiming to conduct test flights this summer, reports the PLA Daily, a China-based media outlet for the People’s Liberation Army. 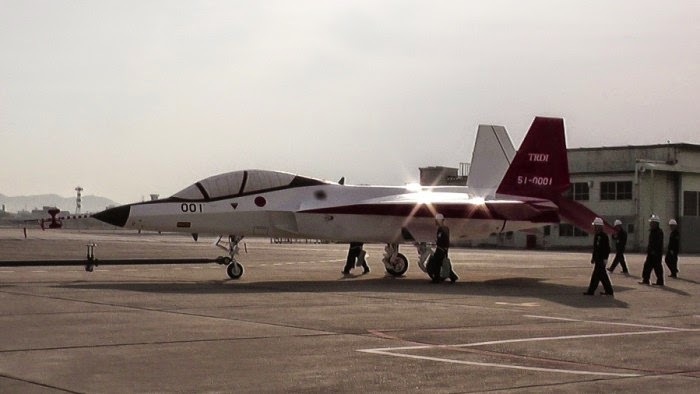 If the tests are successful, the F-3 will represent a breakthrough for Japan in terms of stealth capabilities and high-powered engine technology, the report said. The advanced fifth-generation fighter, which originates from Japan’s advanced technology demonstrator-experimental (ATD-X) program, has been designed to deliver superior performance in the four major quality indicators of stealth, supersonic cruise capability, maneuverability and integrated avionics systems. In terms of stealth technology, the F-3’s exterior is said to contain absorbing materials that can reduce radar reflection. Apart from evading radar detection, the aircraft also aims to eliminate visible light signals, electronic signals, heat and noise in order to minimize detectability. The cruise capability of the F-3 will rely on its 15-ton-level high-powered engine co-developed by Japan’s IHI Corporation and the Technical Research and Development Institute of the country’s Ministry of Defense. The engine will reportedly feature XF5-1 low-bypass turbofan technology and composite ceramic materials highly resistant to heat. Ordinarily, fighter jets need to make a compromise between stealth and maneuverability, but the F-3’s design is said to be able to resolve the conflict. The jet has been designed to be light and multi-purpose, with diamond-shaped wings with no empennage. It has also borrowed advantageous designs from other American fighter jets, with an intake ramp similar to that of the X-32 and a Y-shaped tail that resembles the YF-23. The F-3’s avionics system integrates a high-performance active phased array radar, electronic warfare systems and multi-function RF sensors, with fiber cables to enable high mobility control and improved radar technology to expand the detection area and distance. Despite its impressive design, the F-3 still faces many practical obstacles before it can become a reality, the PLA Daily said. Researchers are still exploring engine capabilities and need to figure out problems such as compressors and burners for such a high-powered engine. The fact that engines in the older F-2, which are less powerful than those in the F-3, have malfunctioned during flights, with reports of strong vibrations during high speeds, demonstrates that Japan’s engine technology is not sufficiently mature, the PLA Daily added. The aircraft’s avionics system is also problematic because it is split into software and hardware, and Japan’s lack of experience dealing with complex air flows could make the system vulnerable to poor weather conditions. The hydraulics system is also believed to be a concern for a stealth jet designed to be so agile. Additionally, Japan’s fighter materials technology has reached a bottleneck. The US F-15, for instance, has a titanium proportion as high as 26.5%, but it is not practical for Japan to simply copy the Americans as the former is completely reliant on imports for such raw materials. The development of the F-3 carries significant strategic meaning for Japan, the PLA Daily said. On the one hand, the aircraft is viewed upon as a return to form for Japan’s aviation industry and represents a show of strength against China, especially given Tokyo’s efforts to lift its constitutional prohibition against collective self-defense. On the other, a successful F-3 program shows that Japan can stand on its own in developing a superior fighter. Japan has been over-reliant on the US in developing fighter jets in the past, rendering its own technologies lagging. America’s guarded attitude towards Japan has led to the US suspending cooperation on multiple occasions, so the F-3 could end up being a bargaining chip in future negotiations.